Whirling Sun is the proprietary of Michael, a leading member of the Folkish Heathen group Irminfolk. He is an excellent jeweller specializing in Pagan-themed pieces. Below are some unique Mjolnirs and two other pendants made by someone else, Wolf’s Hoard Studio, who “specializes in Germanic heathen spiritual art”. 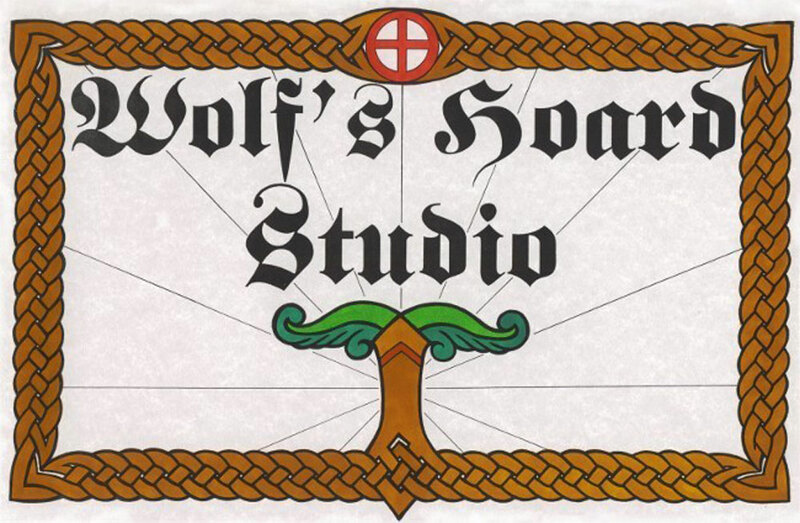 The proprietors are members of Canada’s Odin’s Volk, “an ethnic, spiritual and cultural informational rescource dedicated to the study, practice and advancement of the ancestral native religion of the Germanic tribes that originated in Northern Europe.” Wolf’s Hoard Studio is a subsidiary of the Wolfhof European Heritage Arts Initiative.